Published in: Masuda, M. (1982). 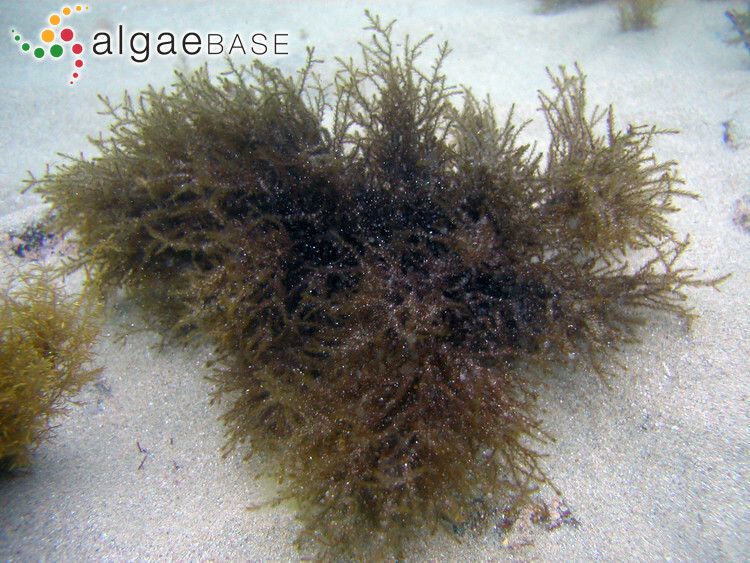 A systematic study of the tribe Rhodomeleae (Rhodomelaceae, Rhodophyta). Journal of the Faculty of Science, Hokkaido University, Series V (Botany) 12: 209-400, pls 1-28. The type species (holotype) of the genus Neorhodomela is Neorhodomela munita (Perestenko) Masuda. Choi, H.G., Lee, J.H., Choo, Y.-K., Chai, K.-Y., Kim, Y.S., Han, J.-S., Prathep, A. & Nam, K.W. (2006). Phenology of the rhodomelarian algae Neorhodomela aculeata and Ceramium kondoi and their survival strategies against herbivorous snails. Phycological Research 54(4): 302-307.